This classic meatloaf recipe is one of the first recipes we put on Simply Recipes over ten years ago. Meatloaf is one of my father’s favorite things to cook and anytime we kids know he’s making his homemade meatloaf, we make our way to my parent’s house for dinner. My dad’s trick to meatloaf? He mixes Italian pork sausage (half sweet, half spicy) in with ground beef. The original recipe came from an old issue of Gourmet (April 1994) and my father has been changing it over the years to his taste (including using Italian sausage instead of plain ground pork). It’s no ordinary meatloaf. It takes a little extra prep time to make the “sofritto” base of minced carrots, onions, celery, and garlic, but it is so so worth it! Like a giant Italian meatball, in loaf form. Meatball meatloaf. It may look like the sofritto is a time consuming extra step for meatloaf, but you can easily put the vegetables in a food processor or mini chopper to speed up the prep time. The smaller mince size that you can get with the food processor will also help the meatloaf hold together better. Since meatloaf is quite dense packed into a loaf pan, it takes a little while to bake. It also needs to be baked at a relatively low temperature so the outside doesn’t finish baking and start drying out before the center is done. Bake this meatloaf for about an hour at 350°F, and then check it with a meat thermometer inserted into the center of the meatloaf — the center should be at least 155°F when done. Watch the video for how to make meatloaf! Updated March 28, 2019 : We spiffed up this post to make it sparkle! No changes to the original recipe. Italian sausage makes a difference in this meatloaf recipe! We use a combination of spicy and sweet, but it you only have one, choose sweet Italian sausage. If you don't have access to spicy ground pork or Italian sausage, mix in a half teaspoon each of fennel seeds, Italian seasoning, and hot sauce into regular ground pork. Save prep time by roughly chopping the celery, carrot, onion, green onions, and garlic and pulsing them in a food processor or mini-chopper to get them finely chopped. 1 Preheat oven to 350°F, with a rack in the middle of the oven. 2 Cook the vegetables: Melt the butter in a large, thick-bottomed skillet, on medium heat. When the butter starts to foam, add the finely chopped onions, celery, carrot, green onions and garlic to the pan and cook for 5 minutes. 3 Make the meatloaf mixture: Once the vegetables have cooled to the touch, place them in a large bowl with the ground beef, Italian sausage, eggs, breadcrumbs and parsley. Use your (very clean) hands to mix them together until everything is evenly distributed. 4 Place in loaf pan, cover with ketchup: Place the meatloaf mixture into a loaf pan (either 4x8 or 5x9) and press to make compact in the pan. 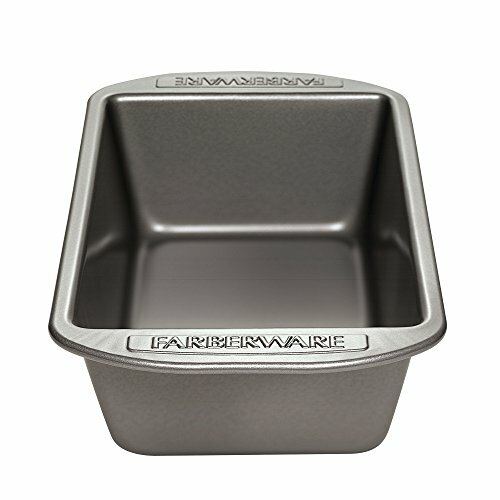 Or you can form a free-standing loaf onto a rimmed baking pan. Cover the meatloaf mixture with the rest of the ketchup. 5 Bake: Bake for 1 hour at 350°F, or until a meat thermometer inserted into the center of the meatloaf reads 155°F. 6 Serve: Cut into thick slices to serve. The meatloaf makes great leftovers, just chill and reheat. Slices are good in sandwiches as well. Hello! All photos and content are copyright protected. Please do not use our photos without prior written permission. If you wish to republish this recipe, please rewrite the recipe in your own unique words and link back to Classic Meatloaf on Simply Recipes. Thank you! my house but the green onions and fresh parsley. So I used dried parsley and added yellow bell pepper(1/2) and this was wonderful! The mix of Italian sausage is the main secret! I wasn’t sure about the carrot but I didn’t even notice it! Great recipe, we will have this weekly! I’m also excited about trying your other recipes! Very tasty! I ditched breacrumbs due to wheat allergy soit was a bit crumbly but great flavors! It took 15 minutes longer in my oven. Simply the best! It’s a party in my tummy when I eat this meatloaf!!! I had ground lamb and ground beef in the freezer on a day when it was going to snow. The better half had gone to the gym: I had him pick up the veggies and pork sausage on his way home. We have a Bosch convection oven; followed the recipe expanding for two loafs and it needed an extra 10 minutes or so in the oven. I normally hate meat loaf, but this was delicious. Like a special meal you’d get at a restaurant. Granted, I used beef, lamb and sweet and spicy pork sausage, but I think the flavors of the veggie ingredients were just amazingly right. Thank you for this recipe! Love this meatloaf recipe! Can you prepare and refrigerate for a few hours before baking? Hi Becky, sure! You can easily prepare ahead a few hours before baking. This I my go to meatloaf from now on, it is so delish! I did alter the recipe a little, however. I don’t like the texture of cooked onions, but I do love the flavor onions lend to a dish so I substituted onion powder for the flavor. I didn’t add celery because I don’t like it… blah. I also didn’t add Worchestershire sauce or parsley leaves, but only because I didn’t have them in my cupboard, and I was too lazy to go to the store. I will definitely include them the next time I make this as it I know it will only add to what I already thought tasted amazing. This was a awesome recipe and the wife loved it . It makes awesome meatloaf sandwiches the next day! I love this meatloaf, and so does the family! The flavours are fantastic. I usually make two free form loaves and bake them on foil lined baking sheets just to speed up the baking time a bit on busy weeknights. Thank you for this amazing recipe! So amazing! Definitely a hit with my family. Hands down best meatloaf I have ever made!! Thanks for this recipe! This really was delicious. Like having a homemade Italian dinner your Italian grandma made, minus the 8 hours at the stove and the Italian grandma. I made my prep a bit easier by doing the veggies on the weekend and mixing it up on a week night and baking it up. Best meatloaf recipe! Made it for dinner. Free form in a lovely meatloaf pan. Thank you very much for the recipe. I make a brown sugar, hot mustard, ketchup topping to replace the catsup on top! Very yummy. I am curious what your brown sugar/mustard topping is! I’m so glad you like it Brenda! Glad it works for you with all beef.